LovetheRock is an organization devoted to being The Church to the city of Round Rock. We organize events to serve our neighbors across our city. 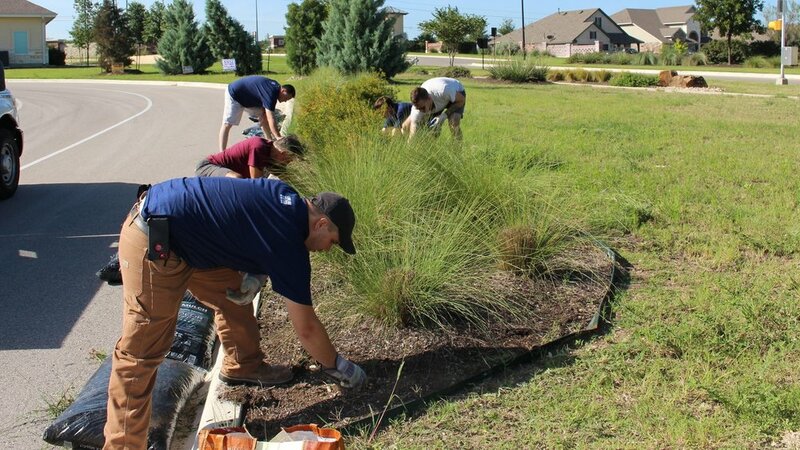 We do this in close association with the City of Round Rock as well as other neighborhood groups in the area. We frequently have opportunities to serve. Please see the banners to sign up for upcoming events. We hope that you will join us! If you have any questions, please send them to info@abbaconnect.net. Our deep appreciation goes out to Austin Bridge Builders Alliance for their partnership in stewarding the Love the Rock idea from vision to reality. This is one more example of how ABBA fulfills its vision of facilitating social and spiritual transformation in our region. Our goal is to see neighbors joined together, demonstrating how God’s love leads us to LoveTheRock.